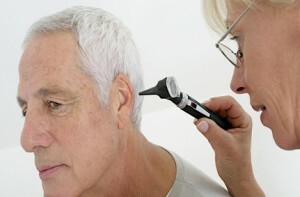 If you need a hearing test in Ontario, rely on Pindrop Toronto instead of scouring the province. It can be hard to find a good health service provider that you trust, especially if you have specific or special medical needs. This goes double for a specialist – sometimes you can find yourself traveling all over the province because the best medical professional for your needs just isn’t anywhere near your home. This is a common occurrence when it comes to individuals who suffer from hearing loss or similar impairments. Sometimes the best audiologist for you could be a long, arduous trip away from where you live, making it an exhausting nuisance to undertake routine hearing tests that you need to monitor your hearing loss and adjust your hearing aids accordingly. However, if you live in the Greater Toronto Area, you don’t have to scour the entirety of the province if you’re looking for a good place to get a hearing test in Ontario. Instead, just turn to Pindrop Toronto for all your audiology needs. With 20 years of experience in the field of taking care of the hearing of their patients, the audiology experts at Pindrop Toronto can perform full hearing tests that can be used to track your hearing loss and ensure that the data needed to configure your hearing aids is as accurate as possible. The better tuned your hearing aids are, the more effective they will be in amplifying the types of frequencies you have trouble hearing, which in turn will lead to a better overall quality of life for not just you but for your loved ones. No longer will you need to worry about being isolated by your hearing loss. Let Pindrop Toronto help you lead a fuller, more enriched life that doesn’t revolve around your frustration in trying to understand what people are saying to you. Call us at 416-484-4327 to book an appointment for a hearing test in Toronto today.